--Gripped Magazine is reporting that a Canadian climbing guide passed away earlier this month. "Geoffrey Bernard Creighton died suddenly and unexpectedly on July 7, at his home in North Vancouver." To read more, click here. --A helicopter rescued an injured 64-year old climber off Oregon's Mt. Jefferson this week. To read more, click here. --Here's an inspirational article about adaptive climbers in Squamish! --Brittany Goris recently redpointed City Park (5.13d) in Index. This is perhaps the most famous single pitch or rock climbing in Washington State because of its history and stature. To learn about it and Brittany, click here. --A new via ferrata in the Sierra is raising some hackles. To read more, click here. --It's never appropriate to drop a haul bag. In 2016, it appears that a climber dropped a haul bag which subsequently hit another climber and injured him severely. This thread discusses the incident. --There are temporary closures in Yosemite due to wildfire. To read more, click here and here. --The Washington Post is reporting that, "In a quest to shrink national monuments last year, senior Interior Department officials dismissed evidence these public lands boosted tourism and spurred archaeological discoveries, according to documents the department released this month and retracted a day later. The thousands of pages of email correspondence chart how Interior Secretary Ryan Zinke and his aides instead tailored their survey of protected sites to emphasize the value of logging, ranching and energy development that would be unlocked if they were not designated as national monuments." To read more, click here. --The Aspen Times is reporting that, "Mountain Rescue Aspen simultaneously responded to two different incidents Tuesday in the Maroon Bells Wilderness Area." In one case a climber fell and broke his wrist. In the other a grandfather and grandson were overdue. The overdue pair were found in good health while the team was helping the injured climber out. To read more, click here. --The Daily Camera is reporting that, "A 58-year-old man was severely injured Sunday afternoon after falling about 400 feet while climbing in the area of Isabelle Glacier Lake in the Brainard Lake recreational area, according to the Boulder County Sheriff's Office." To read more, click here. 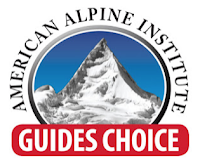 --AAI announced its prestigious Guides Choice Award at the Outdoor Retailer show this week! To see the winners, click here. --This week is the Outdoor Retail show in Denver. Gear Junkie has an interesting piece on the event. "The outdoors industry is a historically male-dominated sector. But women have taken the reigns of one of the largest business-to-business U.S. trade shows in this space. It signals a shift in demographics and leadership that could affect the future of retail and gear in North America." To read more, click here. --In other Outdoor Retailer News, the climbing industry is taking on sexual harassment. A group discussed the issues at the event and the results of a large scale survey of climbers on the subject. To read more, click here. --All of your other questions about the Outdoor Retailer are answered, here. 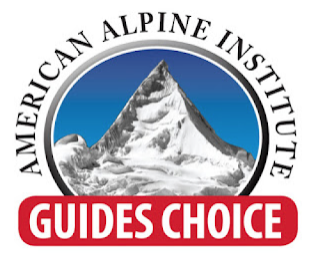 --The Aspen Times is reporting that, "A local ski instructor sued a Denver-area man earlier this week who allegedly skied into him in February and caused neck and back injuries." To read more, click here. --The Access Fund is reporting that, "After 23 years of ownership, Access Fund is pleased to announce the transfer of Society Turn in western Colorado to San Miguel County for long-term climbing friendly management. The 6-acre property outside Telluride features a sandstone cliff line with a couple dozen boulder problems and top rope routes. The area has been enjoyed by climbiners since the 1970s as an ideal spot to climb after work or on sunny winter days." To read more, click here. --Jackson Hole News and Guide is reporting that, "Authorities have identified the climber who fatally fell 300 feet Sunday on a popular route up Storm Point in the Cascade Canyon area. Marco Korstiaan Dees, 33, was climbing Guide’s Wall on Sunday when the accident occurred. His girlfriend and climbing partner, Grace Mooney, was rescued the next morning by Jenny Lake climbing rangers. They learned of the accident from a hiker who phoned authorities after seeing a flashing light and hearing calls for help Sunday night." To read more, click here. --CBC News is reporting that, "A 65-year-old man from B.C. died Saturday when he fell while climbing in Kananaskis Country, southwest of Calgary. STARS Air Ambulance spokeswoman Deb Tetley said crews were dispatched at about 5 p.m. to Mount Lipsett, just south of Highwood Pass, in K-Country, but were later stood down." To read more, click here. --SnowBrains is reporting that, "Polish mountaineer and mountain runner Andrzej Bargiel, 30 has become the first person to ski down K2 (28,251-feet), the second tallest mountain in the world. He summited K2 on Sunday morning at 11:30 am and returned to Base Camp at around 7:30 pm local time." To read more, click here. --Outside Magazine is reporting that "Patagonia, REI, the North Face, and a handful of others are attempting to change that by rethinking their business models and hiring practices. Given the degree to which people of color and members of the LGBTQ community are underrepresented in outdoor-industry jobs, it’s a formidable task. And while assessing progress is difficult at this stage, experts say there’s a long way to go." To read more, click here. --Endurance Sportswear is reporting that, "Global outdoors leader Mammut today announced the acquisition of digital outdoors platform, Mountain Hub, for an undisclosed amount, in a push to bolster the brand’s digital community, connection to consumers, and integration of technologies across platforms." To read more, click here.